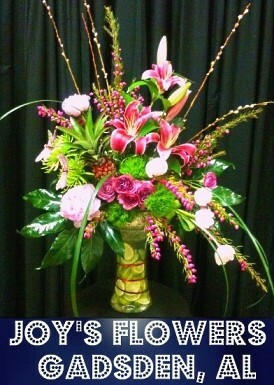 At Joy's Flowers & Marketplace, we are ready with a smile to service all your floral needs! 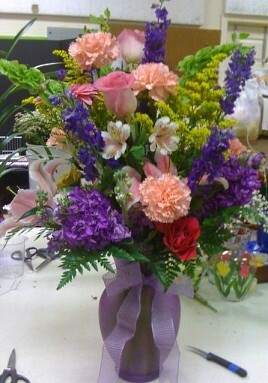 Thank you City of Gadsden for voting Joy's Flowers your #1 florist 2 years in a row!!! Proudly serving the Gadsden, Alabama area since 1978, we're a full-service local florist that is family-owned and operated. We hope you enjoy your online shopping experience with secure 24-hour ordering right at your fingertips. If preferred, you may call us to place orders direct at 256-546-9209. 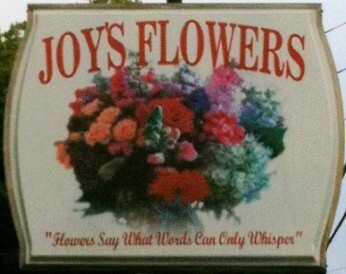 JOY'S FLOWERS & MARKETPLACE Has It All! * Browse our assortment of Memory Baskets of Green & Blooming Plants, Orchid Plants, Amaryllis Plants, Bromeliad Plants, Dish Gardens, Green Plants & Flowering Plants for a gift that adds life to any room, office or outdoor space. * You can always depend on our courteous staff to help you with flowers for the funeral of a departed loved one or friend. We will design and deliver a funeral arrangement that beautifully conveys your expression of sympathy and serves as a lovely memorial at the service. We also offer Specialty Funeral Designs customized in special tribute to the deceased - featuring personality, hobbies, occupation, etc. Ask about our Religious and Inspirational Keepsakes. 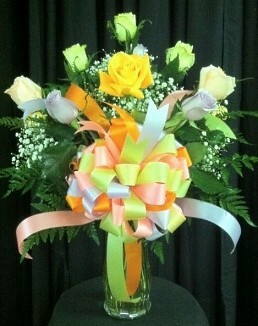 * Order your beautiful, one-of-a-kind Wedding Flowers and Party Flowers from JOY'S FLOWERS & MARKETPLACE. We will ensure your special day is a blooming success - large or small, formal or casual! Call us in advance at 256-546-9209 to set up an appointment for a consultation. 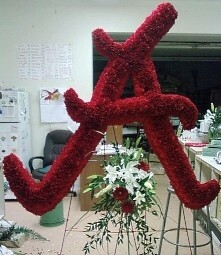 * Shop for a variety of Unique Gifts, including plush stuffed animals, balloons, fruit baskets, gourmet baskets, scented candles, silk arrangements, home décor items, baby gifts, candy & chocolates, unique metal & ceramic containers, AL Crimson Tide items, Auburn Tigers items and more! 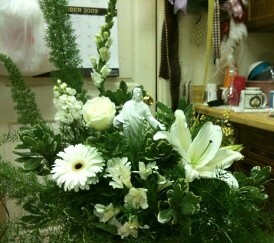 JOY'S FLOWERS & MARKETPLACE is open to serve your floral and gift giving needs. Thank you for visiting our website for flowers delivered fresh from a local Gadsden, AL florist and easy online ordering available 24 hours a day.